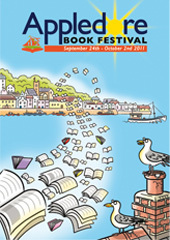 Appledore Book Festival runs from 24th September to 2nd October 2011 with many wonderful book-related events. I’ll be there, taking part in the schools programme. Find out more about Appledore Book Festival.